After riding through the gate, follow the dirt road until you see the old guardrail on your left, take the small trail on your left and down just past it. Veer left immediately and follow the "stem" of the lollipop. There're some ups and downs in this section aimed at suprising you and trying to get you to step out of the pedals. Where the trail splits, follow it left for a nice downhill into the loop (taking it clockwise). Most of the loop is flat bottom with a few tight turns and a couple of little jumps and narrow beam bridges, which make is a nice beginner trail. Be careful of the many little sticks known to reach out and break a deraillure from time to time. Review: Unfortunately this area as been completely let go. There used to be some decent singletrack here but it's totally overgrown now. The few places I did get off the road were so packed with overgrowth and thorny vines that my legs were being shredded. The road isn't in very good shape either. Very bumpy from all the run off and even totally washed out in one spot. Review: This place isn't worth talking about little lone riding..
Review: Completly overgrown. Could not ride it all as had difficulty keeping track of the trail. Full of fallen trees and branches as well. Took me considerable time to even find the trail, let alone try to ride it. Needs some serious maintenance or at least someone riding it regularly. Review: Could not find the actual trail. The road down the tractor road about 2.5 miles and off the left of it was some short overgrown single tracks. Was super unenjoyable got swarmed by mosquitos my fault for not bringing spray, but the place is also infested with horseflies that ruined the enjoyment of it all together. Review: Tucked away on the West side of OKC. A little out of the way for this trail, would rather go to Bluff Creek, since B.C. is a more popular and well visited public park. This location is a little shady and when I arrived a guy had just been strong armed robbed. Not that the trails rideability has anything to do with that, but I would rather take family and kids to another location for a trail ride. 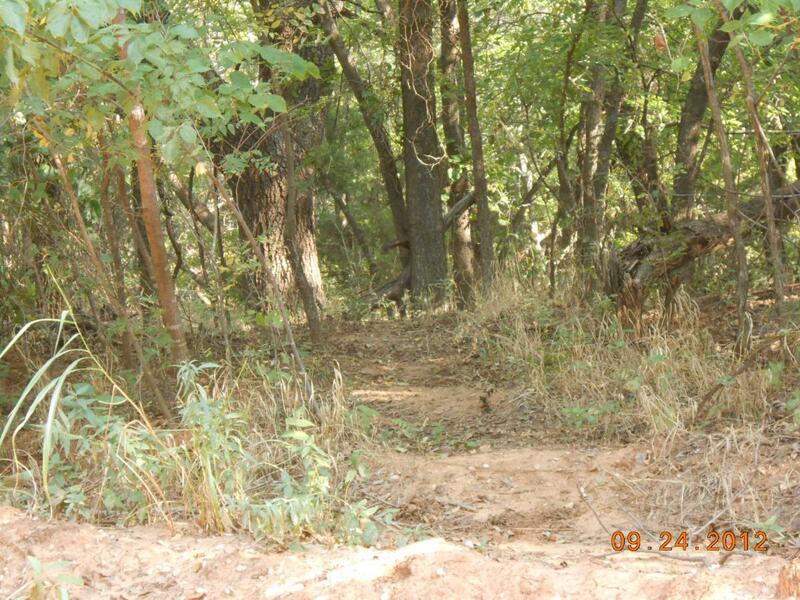 Bluff Creek or Sutton Wilderness in Norman, OK.
Review: I didn't find the trails described in the listing. I think that must be out to the end of the tracktor road. Good excuse to come back I guess. What I road was dirt acsess and some very short shunts of single track, if you keep your eyes pealed you'll see them disappear to the W. very over grown no maint' but fun to drop in and try to climb back out to road. The second was more likely for bicycle. Pretty place. Avoid entirely after slightest rain. 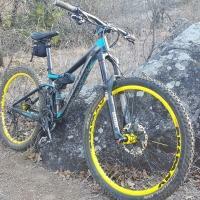 Review: This is a trail with a lot of potential, however it does not get enough traffic yet. I have been out there frequently hiking, but this is my first with my bike and I enjoyed it, but it is mainly a flat tractor road. I did attempt a few areas where I had hiked before and they were great descents, but at the bottom of the ten foot drops they were too sandy or overgrown to mess with. I would like to ride it more, and will but just the tracto road. The trail of the tractor road starts just about a quarter mile in on the left. It is REAL hard to spot in the summer. 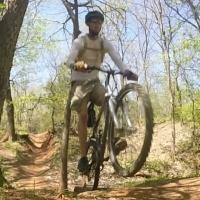 Stinchcomb East MTB Trail 2.00 out of 5 based on 7 ratings. 7 user reviews.